This may sound like a no-brainer, but many people go to the Bible without connecting to the author. I call it centering myself in Christ. Centering means connecting directly to the author of the book and removing distractions. When we pray, we open ourselves up to listen to God. Start with a simple confession, thank God for all He has done, ask Him to reveal Himself to you and guide you in your business. Amen! “What gets scheduled gets done!” Put your Bible reading into your calendar. Make sure you are not disturbed for that scheduled time. You can start with ten minutes and work up to thirty minutes or an hour. 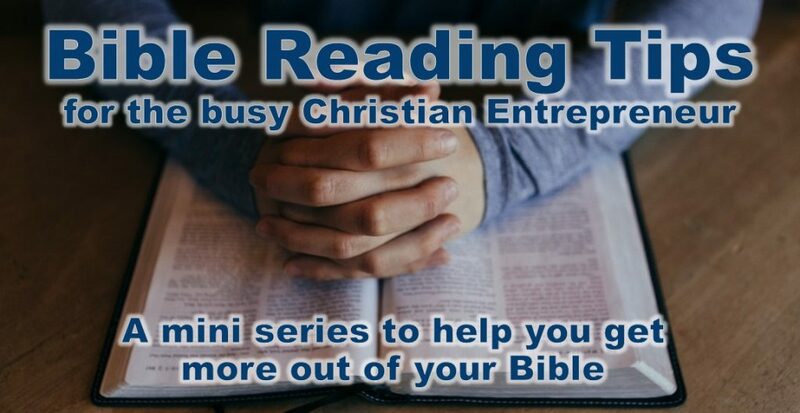 Once you learn how to dig into the Bible to lead your business, you will quickly fill up that time allowing God to talk to you through His Word. Using a calendar may be a good start, but why not include a friend. You don’t have to read the Bible together, but find a good friend who will hold you accountable to read the Bible daily. Give that one person permission to ask you what you are reading in the Bible any time he/she sees you. Plan on meeting weekly to discuss what God is teaching both of you. A concordance will show you where that particular word shows up in other Bible verses. A Bible dictionary will define how a word is used in the Bible. A cross reference shows if that phrase came from another part of the Bible. A commentary is someone else’s study on that section of the Bible. A parallel is seeing how that Bible verse is translated in other versions of the Bible. There is a lot about business in the Bible. IF you know where to look. Let’s dig into business Bible quotes to really see what the Bible has to say. Business Bible Fact 1: Many people in the Bible were business owners in ancient times. They did not have grocery stores to shop, so they would create something, take it to the market and exchange it for what they needed. Even many of the writers in the Bible were business owners. Moses was a shepherd who owned a large flock. Luke was a physician. Paul was a tentmaker. Business Bible Fact 2: Many of Jesus’s disciples were business owners. We know some of them were fishermen, a lucrative business at the time, and even Jesus was a carpenter. We even see some women mentioned later in the New Testament like Pricilla was a tentmaker with her husband Aquillas. Lydia was a rich purple textile creator and Phoebe was wealthy enough to give support to Paul. Business was important throughout the Bible. There are countless Bible business ethics if you dig into the Old Testament alone. Personally, I have been doing some Bible studying on business have have been digging into the Old Testament. I am even reading some words written by a Rabbi. There are some really great business tools found in scriptures. If we want to live our lives by the Book and run our business by the Bible, we have to read it.